Usually I make Aloo Kulcha or Paneer Kulcha, but Coconut Kulcha is something which I tried recently to bring in a twist and it did work very well. The sweetness of the coconut in combination with the spicy flavor of ginger and pepper gives a tangy flavor to the kulcha which I find very appealing. My family has given a thumbs up to this. Hopefully you will also like it and give it a try. For the kulcha, mix all the ingredients and knead a soft dough. Brush little oil on it, cover it properly and let it rest for 4-6 hours. Now mix all the items of the filling properly. Divide the dough into medium sized balls/ pedha. Take each ball and flatten it between your palms. Fill in the stuffing. Sprinkle some flour on the rolling board and roll out the kulcha in desired shape and size. Similarly roll out all the kulchas. 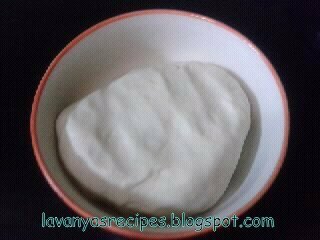 Cook these kulchas on hot tawa at moderate heat using oil accordingly. The delicious kulchas are now ready to be served. Serve these delicious kulchas with raita or achaar. Different and delicious..loved the idea of coconut filling in kulcka! !